i am conor oleary – ? For my digital artefact I wanted to make something. Something that while satisfying the ‘digital’ part of the project was also a physical manifestation of the research. For that reason, additive manufacturing (more commonly known as 3D-printing) was the perfect medium for the assignment. So, I knew I wanted to print something, but relating 3d-printing to the concepts presented in the Future Cultures subject was the part I needed to figure out. It wasn’t until Chris spoke about objects that we take for granted like eye-glasses or phones or SHOES, making us ‘cyborgs’ did it hit me. They were the perfect pairing; the cyborg, a melding of machine and man, and the future capabilities of a technology like additive manufacturing. Figuring out how I was going to do this was the next step. This wasn’t hard, with the talk in class of the ‘cyborg’ concept being far simpler than the examples we see in sci-fi films I knew I could leverage the idea in a way that would satisfy my own passion of footwear. 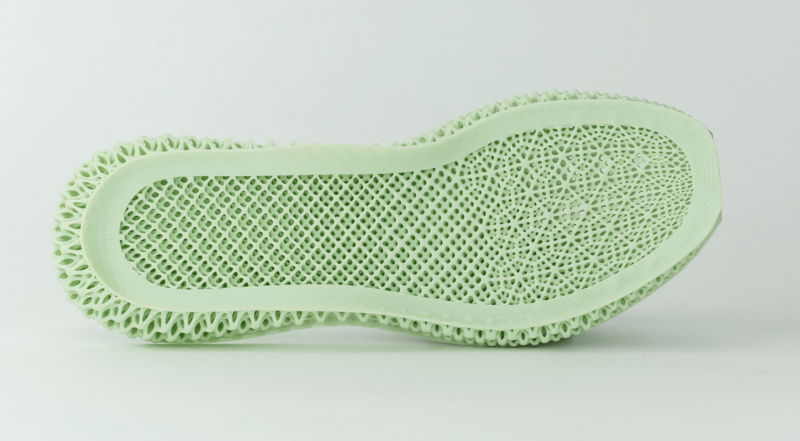 Additive manufacturing in the footwear industry has been a major topic of the last few years. All the key brands are investing heavily in the technology as it has potential to revolutionise, not only the footwear, but how we manufacture all goods. My second blog post ‘You Gotta Have Sole‘ went into some detail about where companies like Nike and Adidas are currently taking the tech. 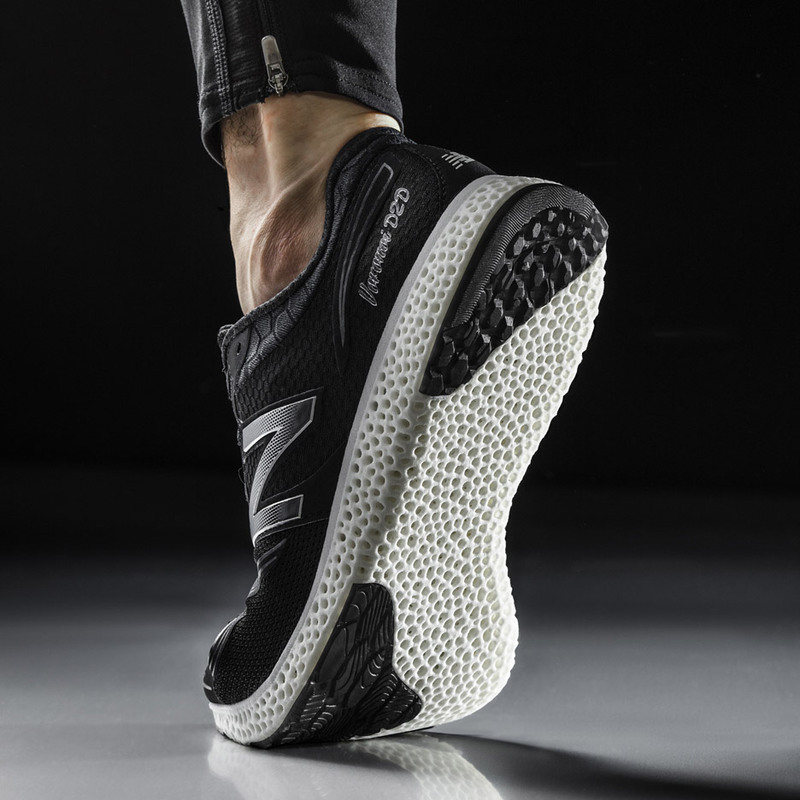 One of the biggest revelations from the use of 3D printing in footwear is how it may be implemented in the future. 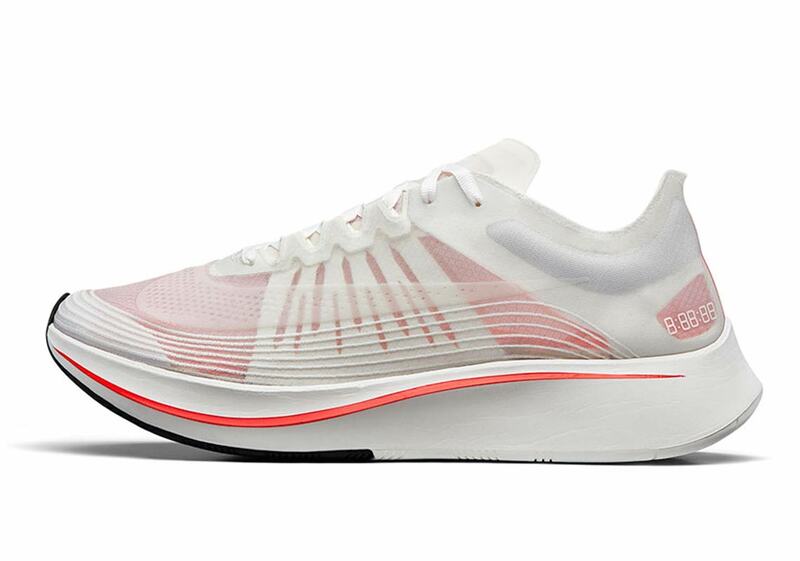 Presenting at a tech summit held by GeekWire in 2015, Nike’s COO Eric Sprunk spoke about the possibility of a future where you can make your own Nike shoes at home. Really, this isn’t such a hard future to imagine. If additive manufacturing in the home becomes widely adopted (what actual catalyst function it could provide to get it to that point is up in the air), then it could very well be the way of the future. With Sprunk’s comments in the back of my mind I set out to explore the ‘3D-printing a shoe at home’ concept myself. Unfortunately, in the few years since the COO made that statement Nike is yet to release anything remotely like that. Obviously, these things take time. 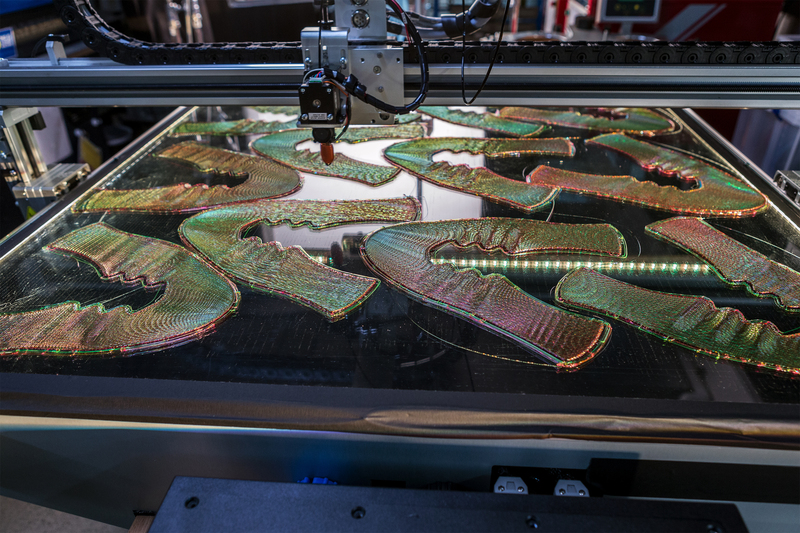 But as the 3D-printing race heats up in the industry, there is definitely a renewed spark around the implementation of the technology going forward. Maybe additive manufacturing technology in the home is something that we won’t see for a few decades. But at its current rate of growth, massive investment across a range of industries seems a certainty. Printing in its most basic form has been the catalyst for major advancements in our history. 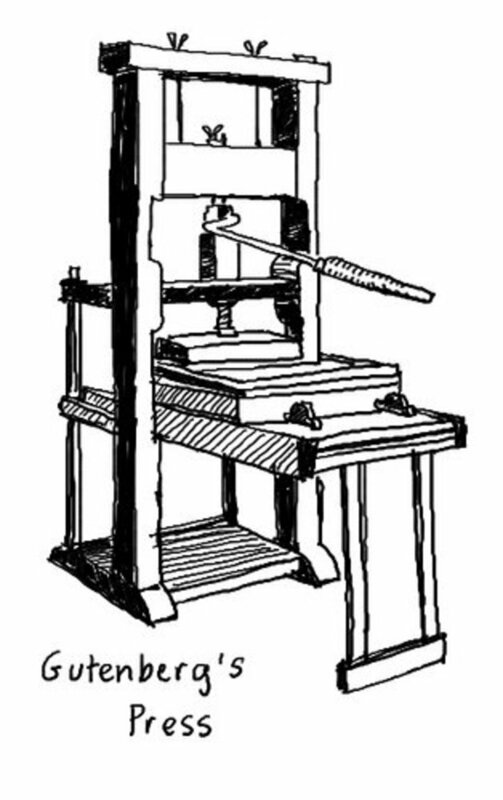 The invention of the printing press by Gutenberg in the mid-1400s birthed an information revolution. It made the spread of knowledge rapid and accurate, taking it out of the hands of the Church and into those of the people. Literature of a secular nature was far more easily disseminated, and by the 1600’s the printing press would lead to a new age in scientific revolution, the ‘enlightenment’ (Butler, 2007). Now, inkjet printers are easily and cheaply bought and are an essential part of any business and even household. It may have taken the best part of 600 years for the printed word to reach that point, but this could be the future for 3D-printers too. Throughout this semester my research has been primarily focused on the uses of additive manufacturing in regards to footwear, and as was pointed out after my presentation this is a very micro view of what is very much a macro research topic. But I saw it as a way to make the content accessible and relatable for myself. As my digital artefact I wanted to try to make my own 3D-printed shoe (well, at least the sole). It would be the melding of the future culture and the future tech. In her seminal work, 1984’s ‘A Cyborg Manifesto’ Haraway isn’t talking about the metal-man of films, she is speaking of the blurred lines between the natural and the artificial. The age of the cyborg isn’t some far off dystopian future, it is here and now (Kunzru, 1997). As Kunzru (1997) writes, “It’s about athletic shoes.” In her interview for Wired, she said “Before the Civil War, right and left feet weren’t even differentiated in shoe manufacture. Now we have a shoe for every activity.” Of course this is a neat little excerpt that ties in with my focus of footwear as a cyborg extension, but it’s a good way to understand the deeper concepts Haraway is proposing. The cyborg is about how we have built these systems around us that constantly work to alter the natural. That fact that we have even created an industry that says we need to wear something to protect the soles of our feet (because obviously the ‘natural’ hadn’t worked for 200,000 years) is a manifestation of the cyborg idea. When it came to actually starting my digital project, I wasn’t really sure where to begin. As I’ve stated previously, I am someone with absolutely no experience using any type of CAD software. Which also seems to be the running theme amongst those attempting these types of projects (3D printing, Virtual Reality, etc.) for their digital artefact. In the search for some CAD programs I came across things like ShoeMaster Sole Design and Delcam CRISPIN ShoeMaker. Both looked like they would be straight-forward options, as they are purpose built for designing shoes (if the names weren’t obvious enough). However, neither were available for free download. I thought that looking for footwear specific CAD programs was probably going to produce very little in terms of things I could use, so I decided broaden my search. Blender a free and open source 3D creation suite seemed to be a fan favourite, with a bunch of beginner’s tutorials to be found on YouTube. I discovered the Australian YouTuber, Blender Guru’s ‘Blender Beginner Tutorial Series’ to be a great place to start. He did a fantastic job at introducing newcomers like myself to 3D-modelling, and more specifically the Blender program. What I found more useful though was another of his series where he showed how to create a blacksmith’s anvil using Blender. The shapes and overall construction methods seemed to more closely resemble what I thought I would need to do to create a model for the 3D-printed sole. Now that I had the software and some guiding knowledge of how to use it, it was time to sketch out some prototypes to get a feel for how the finished product would look. My design was an amalgamation of the Nike Zoomfly, and Futurecarft 4D by Adidas. I was pretty ambitious, with some intense lattice structures being the designs main component. 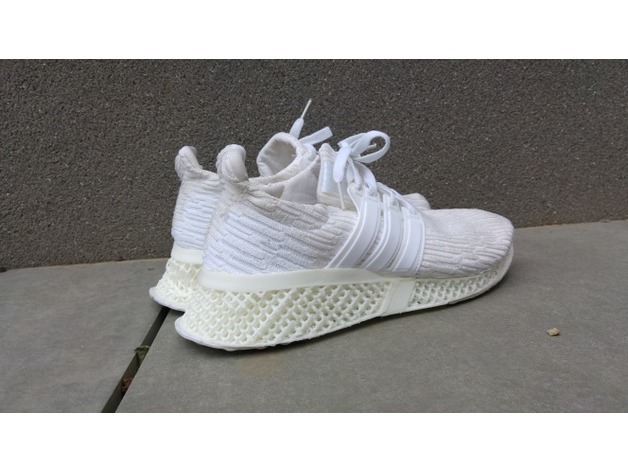 Using Blender I would be able to create a printable model of the shoe sole using CAD, and then produce the sample using the 3D-printers found in UOW’s MakerSpace. The printers would only allow for a 20x20x20cm design. This meant that the sole would have to be dramatically scaled back from my own shoe size. Most importantly, I didn’t realise I would need to attend a safety induction course. While the inductions were only an hour long, when I realised this was needed there were none running at times when I would be able to make it to UOW. Despite these limitations, I thought I might have found my saving grace. When talking to one of my friends about the project he revealed his brother actually had one of the Cocoon Create 3D-printers that could be found at Aldi a few years ago. While the size and material concerns were still an issue, it would mean I could print closer to home and sans induction course. Now I just had to make a 3D model of my design. I played around with the Blender program and was able to get the basic shape and design down for the midsole. It was still a solid object as I couldn’t find anything about how to create the mesh/ lattice structure that would provide the shock absorption and flexibility. The model I had made was rudimentary, but it was enough to convey what I was trying to achieve. I did consider using a pre-modelled design I found on Thingiverse by creator AndresVH. His design was more in-line with my concept sketches, and while it wouldn’t be my own it would still be something that I could print. The last few weeks of semester were coming and I didn’t have much time left to produce the sole. That’s when disaster struck. My laptop asked me to update to the latest version of Windows 10. Yep, great, done… I left it do its thing. But when I returned, it was in a boot loop. I wouldn’t recognise its system restore points, it wouldn’t roll back the update, and it wouldn’t even reset the laptop. Four phone conversations with Microsoft technicians, and multiple trips to the guys in the IT department at work and the only solution was to wipe the entire system by clean installing Windows again. I lost everything. At the time, it wasn’t my CAD file I was worried about. It was more about the music, movies and photos. But the lost years of university work also hit me later. You would think that surely I had it backed-up externally. Yes, I did but it was from probably 2 years ago. And as I would come to find, the hard drive it was stored on was corrupted from being dropped. So please, this is an appeal to anyone who doesn’t back-up regularly. DO IT or your system will inevitably fail at the most inconvenient time in your university life. After cutting my losses with the computer I tried to look for alternatives. I found this video by YouTuber name notimportant explaining how to model a shoe using Autodesk’s Fusion 360 software. That video led me to video from Adafruit Industries which showed him modelling something using Fusion 360 then exporting it and using the MeshMixer program to make a lattice design. After seeing this I downloaded Fusion 360 to see what I could do. In theory, I would be able to use the two programs to finally create the lattice 3D model I first envisioned. But after countless videos I just couldn’t get the hang of it. The best I could do was to create the rough outline and extrude the shape to the correct height. I just couldn’t learn how to do what I needed in the time I had left. I just became too technical, and with more time to practice I’m sure I would have got the hang of it. The project has been a complete and utter failure in terms of creating the printed shoe. However, it did help me to gain a deeper understanding of the concepts presented in BCM325. The research made me fully consider the impacts of how we view our current technologies and apply them in the future. Butler, C. (2007). FC74: The invention of the printing press and its effects – The Flow of History. [online] The Flow of History. Available at: http://www.flowofhistory.com/units/west/11/FC74 [Accessed 30 May 2018]. Kunzru, H. (1997). You Are Cyborg. [online] WIRED. Available at: https://www.wired.com/1997/02/ffharaway/ [Accessed 31 May 2018]. Throughout my life there have been a few experiences where I’ve just thought, “Damn, I’m very white”. Now that’s not to say that there’s anything wrong with that, there are some situations where you can feel a little out of place. Preparing for this digital artefact was one of those times. It was after work on a Monday night, the city was bustling; suits on their way home, others doing their shopping. I was making my way downtown, walking fast, faces passed en route to Citi Super, the Asian grocers at Town Hall. I go there often, so it’s not an unfamiliar place but that doesn’t stop it from being somewhat intimidating. I didn’t grow up with much of the food there, and can’t speak any of the languages so my experience is probably very different to their average customer. Now, this isn’t one of those little shops that cater to the Asiaphiles whose interest in eastern cuisine venture no farther than Pocky and matcha; no, this place is the real deal. The instant noodle section takes pride of place near the fridges. An entire isle dedicated to a food resembling early 2000’s Justin Timberlake is breathtaking. The obvious language barrier is tough, so it’s not so much about what is written on the packets, but the funny cartoons or bright colours that catch my eye. I’m standing there for what feels like forever. Just staring blankly at the wall of noodles. An older Chinese couple are watching me as I pick up packet after packet inspecting the flavour and country of origin. I open google to aid in my investigation. They giggle and keep walking. I’m not in Kansas anymore. I make my selection, packets from all over the place. Enough of a variety to gain a better understanding of each area’s different flavours. At the counter, the attendant unpacks the basket. She sees the assorted noodles and giggles. “It’s for an assignment” I offer, hoping she would understand. “Is there a brand you like that I should try?” She asks if I can handle chilli. This, I feel is one of the key epiphanies from my experience with the topic of instant noodles. The “Damn, I’m very white” phase is a rather crass way of conveying it, but I think it sort of works. Not having grown up with any specific Asian influence, but the ‘western’ bastardisations popular dishes shaped my understanding of the region’s cuisine. Now, I’ve been lucky enough to be exposed to more authentic food, which has definitely changed how I viewed and interacted with it. But over that time there’s been one thing that has remained a constant, the instant noodle. When I was younger I ate the heinous yellow Maggi noodles that part of many people’s childhood. Then progressing to varieties more true to their origins. There’s a familiarity between them, but they can be just so far removed from each other as well. What has become one of the most interesting parts of my experience throughout this assignment is how instant noodles are utilised across the globe. Necessity is the mother of invention, and they were born through post-war necessity. But now, they serve a different purpose to different communities. Prior to this, I would have considered instant noodles to be a snack food. They’re cheap, not particularly nutritional, and sold in convenience stores. To me they weren’t a meal. Many in the west would share the same sentiment; they’re a student, a last resort. But across Asia instant noodles are seen so differently, they’re almost revered. Rachel Bartholomeusz wrote a great article for SBS in 2016, also highlighting the disparity between how instant noodles are perceived globally. She detailed her time travelling across Asia, having to dodge the synonymous Styrofoam cups at every turn. Bartholomeusz also spoke to Dan Hong, the executive chef of Merivale joints Ms. G’s and Mr Wong. Hong made a point that I think really ties speaks to why there is this difference of opinion on the noodles. He said, “In Asian culture, it’s like the sandwich. We don’t have sandwiches, we have instant noodles.” So while convenience may play a part in why they are now so popular it’s deeper than that, it goes back to their origins. When the US gave Japan flour and said for them to make bread they said no we will make what we know, and the instant noodle was born. I found Dan’s comment about noodles being Asia’s sandwich… profound? At least it has helped me to understand where the (not) obsession, but respect for the instant noodle came from. My video is an investigation into the many varieties of instant noodles that can be found across Asia and at home. I think that understanding the different types of noodles is important in learning how they can be utilised. One of the things that was most influential in my thoughts on this was what the noodles represent or replicate. The Maggi noodles we see lining the selves of Woolworths and Coles are snack food because that’s how they are presented. Instant noodles won’t be taken seriously in Australia until there is some sort of finesse with them. The noodles I tried from across Asia hard a deeper level of everything to them. They were ‘convenient’ takes on actual dishes, and I think that makes a massive difference to how cultures perceive them. Bartholomeusz, R. (2016). Embrace the instant noodle. [online] SBS. Available at: http://www.sbs.com.au/food/article/2016/01/25/embrace-instant-noodle [Accessed 25 Oct. 2017]. While this is something that is supposed to be about a new Asian experience, I have to admit that instant noodles are an old and familiar friend. I wouldn’t say I’m an expert in the area by any stretch, but I have consumed a good few bowls in my day. If the last post was supposed to be purely experience based – documenting epiphanies with the cultural product, than this post will hopefully provide some context. In last week’s blog I wrote about my encounter with ‘Shin Ramyun’, the kind of gold standard for instant noodles in the Korean/ Japanese style (and the best for breakfast according to this post). They were great! Everything you would want in a quick and easy snack; affordability, accessibility, little preparation, and of course they are bloody tasty. To better understand the phenomenon that is these little bricks of fried noodles it is important to understand their origins and the role they played in places like Japan in the post-war period. While instant noodles have become an obvious staple in the diets of hungry and frugal (#broke) university students, you would be remiss in thinking that was their original purpose. Rather, instant noodles have a proud history in helping prevent famine in Japan following WWII. The post-war period saw a battered Japan face a horrific shortage of food. To help combat this, the United States was kind enough to send over something but luckily this time is was in the form of flour and not atomic bombs. The US encouraged the Japanese to make bread, but noodles had always been a more essential part of Japanese cuisine. With this, inventor Momofuku Ando went about creating a ramen that would be longer lasting than traditional noodles. It needed to tasty, non-perishable, and most importantly easy to replicate on a grand scale. And he did it, instant noodles were a massive success with packets being sold in the 50’s and ‘Cup Noodle’ developed in the late 70’s. This video by Big Great Story gives a nice visual to the journey. With this week’s post I really wanted to look more closely into how instant noodles are consumed around the world. In the west, there is the prevailing feeling that instant noodles are cheap, lazy, and the only time to eat them is when you’re stuck with no other choice. Now this perception has changed slightly with influences from Asia becoming more and more apparent. We have even seen instant noodle burger buns and various “ramen hacks” throughout social media, and with this a greater variety and acceptance. Across Asia however, they don’t really hold the same college stigma. Noodles are a staple in places like Japan and Korea, and are taken very seriously. Japan boasts an estimated 50,000 ramen so you can expect they know what they want in the instant version. Convenience stores can be found all across Japan with chains like 7-Eleven having nearly 20,000 locations. It’s in these convenience stores that instant noodles are mostly bought and consumed. Places like 7-Eleven are such an integral part of the instant noodles experience in Japan that one of only two Michelin Star ramen restaurants ‘Tsuta’s’ collaborated on an instant version of their much beloved product. In places like Indonesia where the Mi Goreng style of a broth-less instant noodle is more popular I’ve heard that children eat them for breakfast. Instant noodles are considered proper meals as opposed to the view of them being a ‘snack’ product in Australia. So I think that has to make you wonder why there is this dissonance between the east and west about the role that instant noodles play. I suspect that it is purely a thing of noodles being a staple carb in many of those cultures and only being introduced to the west much later (with the exception of pasta). One curious thing I did find the other day is that in the aisle of my local Woolworths where they have what would be the familiar brands like Maggi, Suiman and Fantastic noodles there is also the “Asian” food section. In this section they have the brands like Shin and Nissin, the original and most well-loved across Asia. It just seems as though they should be showcased with the others for all to enjoy. If you’re in Japan don’t forget to visit the Cup Noodle Museum in Osaka. For more information abou the history of instant noodles take a look at the World Instant Noodles Association. Moving forward with this assignment, I’m not quite sure how to tackle the Digital Artefact side of it. I don’t think noodles will translate particularly well to a podcast or blog post type thing, so I guess video will be the best option. I’m thinking a taste test or showcase type deal, but if anyone has an suggestions I would love to hear them. I have to admit I did a good bit of flip-flopping around about my digital artefact. At the beginning of the semester I thought I knew what I wanted to look at; the way that Japan more or less stole aspects of American culture to make it their own (Denim/ Workwear, Cuisine, Jazz… etc.). It was a matter that I had looked into in previous subjects, but the more I considered the assignment at hand the more I knew I needed to move towards a different topic. That brought me to the humble instant noodles. Noodles… Asia… Great, how very original. I get it, it doesn’t seem like a massive leap towards any real cultural experience or immersion, but I think in some ways that’s the point I’m trying to make. A true Asian experience (at least culinary) doesn’t have to be this far reaching thing, but is readily available. Finding a decent instant noodles isn’t a hard task. Depending on what style you’re after (without or without broth etc.) and what region’s specific flavour profile you like, there are many choices available in your local supermarket. I always find it surprising to see just how big my local Woolworths noodle selection is. I live in an area that is VERY white, but this just shows how much of Asia has influenced Australia’s food culture. It can be overwhelming, and I understand why many would select to buy the familiar bright yellow packet of ‘2-Minute Noodles’ that Maggi provides. But if you can step out of your comfort zone and forget about the language barrier there are far superior products to be found. For my experience with instant noodles this week I chose to keep it simple. I picked up a packet of Shin Ramyun Red which is usual the first step for people venturing into the Korean/ Japanese style of instant noodles. When speaking about this assignment with some friends from work they all recommended Shin as a good introductory instant noodle for those not familiar with them. For this tasting I chose what the starting point is really for many, NongShim Shin Ramyun. The South Korean noodles are available just about everywhere (UOW IGA even has them), and due to their mild flavour it’s easy to see why so many like them. So what comes in the packet? In the packet you’ll find a curiously circular brick of dried noodles and two flavour sachets; one containing some dried vegetables and the other being the MSG laced spice mix that makes it all so tasty. Cooking techniques for instant noodles vary widely between people. Usually I just like to eat the noodles, drink the boiling water and snort the seasoning. But today in the name of autoethnography I thought that I would read the packet and follow the instructions. While lazy Conor would throw it all in a bowl, chuck it in the microwave and hope for the best, I used the stove top to make me feel like a real chef. If you look for other pieces of writing about instant hacks you’ll find Buzzfeed listicle after Buzzfeed listicle about so called “ramen hacks” that’ll “blow your mind”. But I am man of simple tastes, and instead of throwing in everything ingredient your typical ‘Ramen-ya’ would offer (various sliced meats, kimchi, mushrooms etc.) I opted for the humble soft boiled egg… well two. I didn’t want to add anything that would detract from the original Shin Ramyun flavor flav *yeeeeeahh boyyyyyy*. Shin has garnered quite the following worldwide. Its beef and chilli base make for a delightful bowl of noodles. The broth is this creamy reddish-orangey colour and the strong chilli, garlic and ginger aroma hit you as it boils… and let me tell you, the scent travels. It was so pungent that my sister came downstairs to see what the hell I was making at 9am on a Friday morning. Using the cooking technique was a new experience for me. Whenever I eat instant noodles it is usually due to time constraints or laziness (mostly the latter), so putting in the time for the broth to steep and really develop its flavours was something new. I also usually eat Indonesian style noodles that are served with very minimal broth so the microwave is always the easiest way to prepare them. Upon first mouthful it was the beefiness and saltiness of the broth that I tasted – the heat soon followed. It wasn’t very spicy, but the heat was just right. Hot enough to be enjoyable without overpowering the rest of the dish. It’s hard not to compare these with their yellow packeted cousin. The whole experience is something else completely. Shin Ramyun isn’t just a meal to have when you’re poor or lazy but to use as the base for some genuinely good ramen that’s easily accessible. It was hard to write this piece without doing any of what we are supposed to do next week, so I look forward to delving into the deep, dark world of the noodle. When Chris first mentioned ‘autoethnography’ I was immediately taken back to subjects like SOC326 and BCM240 where I had first learnt about the concept and attempted to put it into practice. The reading for this week was Ellis, Adams & Bochner’s 2011 ‘Autoethnography: An Overview, and it was quite the… overview. Throughout university the idea of keeping one’s own thoughts separate from their work has been the norm. Research the topic, present the facts. That’s been the formula for academic study. For areas like physics and engineering it works. They’re number heavy and there is a right and a wrong, with little room for the interpretation and feeling of the writer. But the social sciences are different, they’re nuanced, dealing with humanity and its many facets. It’s qualitative rather than quantitative, and that’s why autoethnography has really flourished in this field. Last Thursday must have been one of the more interesting opening tutorials I’ve experienced. It was nostalgic. I can vividly remember seeing Hollywood productions of the same black and white era being played around midday every weekend. Watching a monster film instead of the usual “Hi, I’m blah-blah-blah and I like blah-blah-blah” was definitely a nice change. While I knew about the Kaiju genre of Japanese films, I had never properly sat down to watch an original. From the outside, you could be forgiven for thinking that ‘Gojira’ is a movie without much substance. People awaken monster, monster destroys stuff, people come together to destroy monster. I had never given these films much thought either. Perhaps that’s because so many of the Kaiju-esque films that Hollywood produces follow this same trope without much in the way of themes or worthwhile story. But ‘Gojira’ needs to be viewed differently; understanding its context is important. With ‘Gorjia’ releasing in 1954, it’s hard not to realise just how politically and culturally important the film is for Japan. Godzilla represents nuclear holocaust, with his attacks being a reflection on the atomic bombings of Hiroshima and Nagasaki at the end of World War II. Reflecting on my own context and media consumption experience, it has always been the “communists” or in more recent times those from Middle Eastern origins who have been portrayed as the antagonists in films we see in the west. 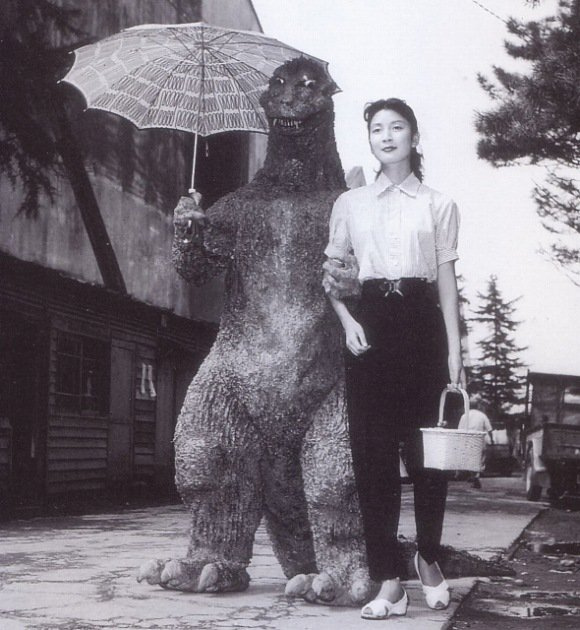 It must also be said that they are far less subtly villainised on the that the US was in ‘Gojira’. My consumption of Japanese media is usually limited to food or fashion, so being able to view the important cultural roots of Japanese cinema was excellent. ‘Gorjia’ has really given birth to global genre, and one of the more interesting offshoots is that of North Korea’s 1985 film ‘Pulgasari’. Why is it interesting? Well that’s because Kim Jong-il had the man hailed as “South Korea’s Spielberg” kidnapped in 1978 to help make North Korea a film making powerhouse. Sufficed to say the plan didn’t work very well, but it made for a cult hit in the western world. With the exception some microorganisms, it’s probably safe to say that humankind has conquered the animal kingdom. However, in this position of power we have projected our own behavioural and emotional qualities onto the other animals we share this planet with. We have humanised and personified them, and this perhaps a way to better understand the world around us. This is something that we experience early. Whether it is the story of the Garden of Eden where the serpent convinces Eve to eat the forbidden fruit. A bear tricking tourists out of their picnic baskets. Or even a cricket acting as the voice of reason for a ‘real boy’. Our anthropomorphising shapes how we perceive the world from a young age. However, I would like to suggest that this humanising may be doing more harm than good. 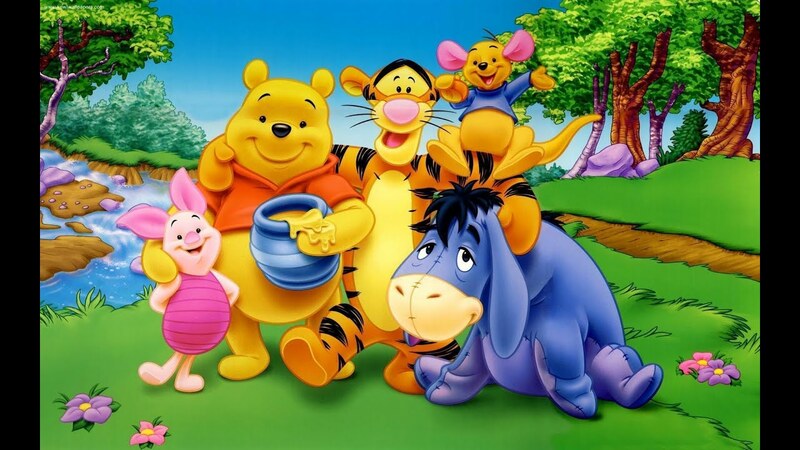 Throughout film, television and literature we have portrayed lions and tigers and bears as creature that share our complex emotions and abstract thinking, but we have no knowledge of them sharing these traits in real life. So is this creating a dangerous misrepresentation of reality of children growing up with these depictions? Patricia Ganea, a psychologist at Toronto University, conducted a series of experiments in which children three to five years old were given information about animals in both a factual way, and in an over-the-top anthropomorphised way. The findings suggested that the children were less likely to keep in mind the factual information about the animals when shown that the animals live life just like humans. She said that while this is good for developing a sense of empathy with animals that may be mistreated, there is a downside. This anthropomorphising may lead to an incorrect understanding of natural biological processes. She also said that, “it can also lead to inappropriate behaviours towards wild animals through a misunderstanding of their actions or intentions. We must consider that while our human tendencies are familiar to us, many animals display lots of (what we would consider) ‘human-like’ behaviour. Chimpanzees have shown the ability to plan through situations… and hold grudges. Wolves live is tight family groups. And as the saying goes, elephants never forget and have been shown to suffer from grief and PTSD. Now I’ll be honest, while I can definitely understand this viewpoint that some hold that anthropomorphising animals can be harmful to a child’s development as they learn about the danger of the world that surrounds them. I myself can’t recall ever truly thinking that bears exclusively eat from a honey pot, or that sharks could be vegetarian and live by the mantra that “Fish are friends, not food.” However, I do know that I learnt a lot about my own species through empathising with the animal characters of my childhood.